Phone makers and carriers are always looking for ways to improve their value compared to their competition. 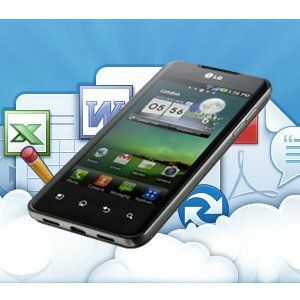 Since there’s a limit to how much phone prices can be reduced, software must be offered as well. Enter LG, which has announced one heck of a deal for its Android phone owners. The offer provides 50GB (yes, that’s 5-0) of cloud storage through a service called Box. Dropbox would normally charge you $9.99 per month for the same amount of storage. To receive your free storage, you need to have an LG phone running Android 2.1 or greater A Quick Guide To Android Versions & Updates [Android] A Quick Guide To Android Versions & Updates [Android] If someone tells you they’re running Android, they’re not saying as much as you’d think. Unlike the major computer operating systems, Android is a broad OS that covers numerous versions and platforms. If you’d like... Read More and sign up before March 31st. The phone must also offer a display result 320×480. Finally, you must live in the United States to sign up for the promotion, though I’ve read some comments and forum posts stating that people in other countries have managed to obtain the free storage as well. Laying claim to your freebie is done by downloading the Box app for Android. Though you must sign up before March 31st, the storage is available for the lifetime of the account. This would seem to indicate that while you need an LG phone to sign up for the promotion, you’ll still have access to the storage if you decide to switch to a different brand’s phone in the future. LG isn’t the only company offering cloud storage to enhance their value proposition. HTC is currently offering 5GB of Dropbox storage on all phones shipping with Sense 3.5, and Sony has hinted that it will also be striking a deal with Box, though details and availability are still unknown. Yes, its awesome. still now I'm using Skydrive which offers 25gb free. but its double,wow. Good news for Android users, HTC was offering 50GB now LG is also offering 50GB. Box.net ran a self-promotion a while back now, where ANY iOS owner could get 50GB free. Just download the latest box app and login or signup. Kind of weird that Android phone makers have to strike a deal, since they cited the reason for giving this free storage was because of the prevalence and importance of mobile. I'd have thought that includes Android, WP, BB, even dumbphones lol, but no.